Small volumes of GPC-3 elisa kit vial(s) may occasionally become entrapped in the seal of the product vial during shipment and storage. If necessary, briefly centrifuge the vial on a tabletop centrifuge to dislodge any liquid in the container`s cap. Certain products may require to ship with dry ice and additional dry ice fee may apply. MBS161761 is a ready-to-use microwell, strip plate ELISA (enzyme-linked immunosorbent assay) Kit for analyzing the presence of the Glypican-3, GPC-3, ELISA Kit target analytes in biological samples. 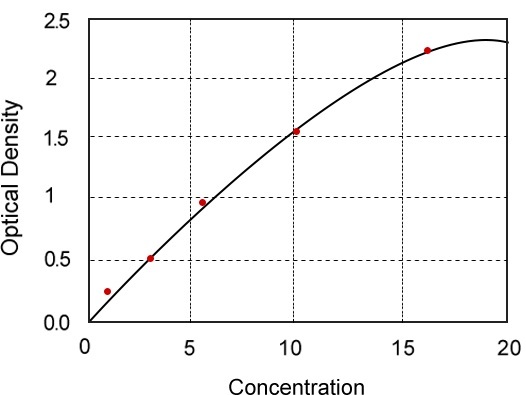 The concentration gradients of the kit standards or positive controls render a theoretical kit detection range in biological research samples containing GPC-3. The ELISA analytical biochemical technique of the MBS161761 kit is based on GPC-3 antibody-GPC-3 antigen interactions (immunosorbency) and an HRP colorimetric detection system to detect GPC-3 antigen targets in samples. The ELISA Kit is designed to detect native, not recombinant, GPC-3. Appropriate sample types may include undiluted body fluids and/or tissue homogenates, secretions. Quality control assays assessing reproducibility identified the intra-assay CV (%) and inter-assay CV(%). Intended Uses: This sandwich kit is for the accurate quantitative detection of human Glypican-3 (also known as GPC3) in serum, plasma, cell culture supernates, cell lysates, tissue homogenates. Principles of the Assay: This kit is an Enzyme-Linked Immunosorbent Assay (ELISA). The plate has been pre-coated with human GPC3 antibody. GPC3 present in the sample is added and binds to antibodies coated on the wells. And then biotinylated human GPC3 Antibody is added and binds to GPC3 in the sample. Then Streptavidin-HRP is added and binds to the Biotinylated GPC3 antibody. After incubation unbound Streptavidin-HRP is washed away during a washing step. Substrate solution is then added and color develops in proportion to the amount of human GPC3. The reaction is terminated by addition of acidic stop solution and absorbance is measured at 450 nm. NCBI/Uniprot data below describe general gene information for GPC-3. It may not necessarily be applicable to this product. Inhibits the dipeptidyl peptidase activity of DPP4 (). Cell surface proteoglycan that bears heparan sulfate. May be involved in the suppression/modulation of growth in the predominantly mesodermal tissues and organs. May play a role in the modulation of IGF2 interactions with its receptor and thereby modulate its function. May regulate growth and tumor predisposition. 1. Abnormal oncofetal antigen GPC-3 and GPC-3 mRNA expression in hepatocarcinogenesis may be promising molecular markers for early diagnosis of hepatocellular carcinoma.